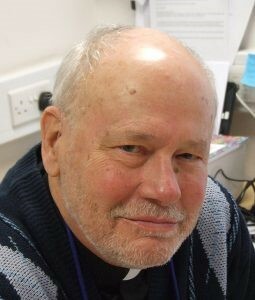 Bob Friedrich is an Episcopal priest from the USA working a PhD case study analysis of the Dementia Friendly Church movement in England and Wales. The Rev Dr Robert Friedrich has served as a vicar, consultant, and hospice chaplain for many years. As a chaplain he developed a particular interest in the spiritual lives of people with dementia, working especially with their recall of music and prayers and liturgy. He noted the positive effects on quality of life of both patients and caregivers. In his PhD he is exploring ways these findings can benefit people and how the church may be able to contribute to wellbeing in dementia. He plans to consult with local clergy on this. Bob is a graduate of Houghton College, Gordon-Conwell Theological Seminary, and General Seminary in the USA and is a published author.